44 ST is a digital altimeter with compass and weather station. 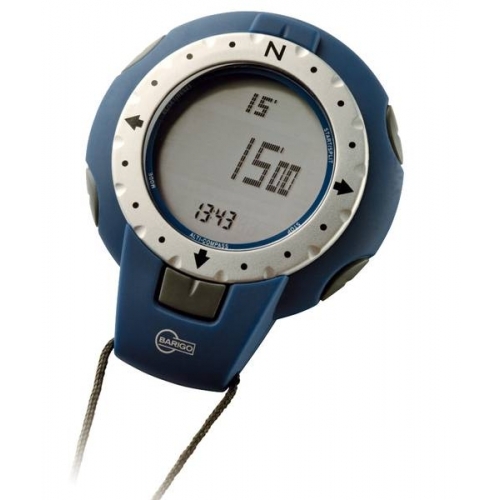 This precision instrument combines a digital altimeter with an integrated compass and a barometer for weather forecast. The altimeter range is -700 ...+9.000 meters (-2296 ...+29.520 feet) with a graphical altitude profile. Important to know: HiTech precision altimeter, weather station, pressure barchart, weather forecast, integrated compass, temperature display and time functions, background light (3 sec).